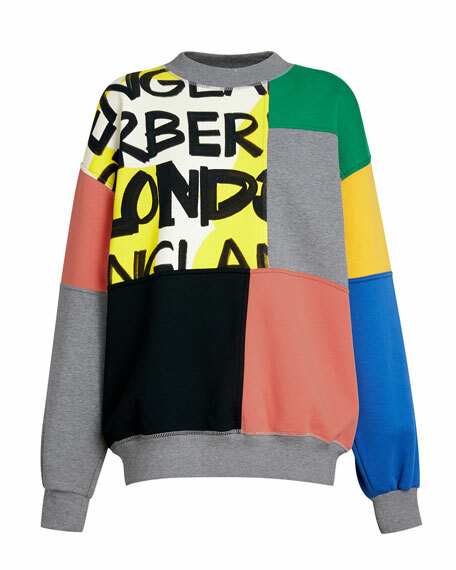 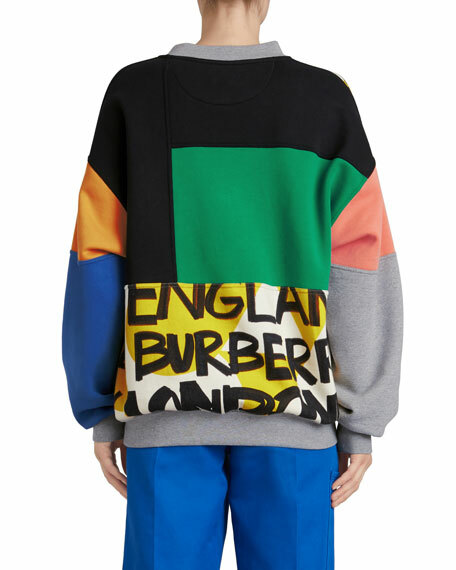 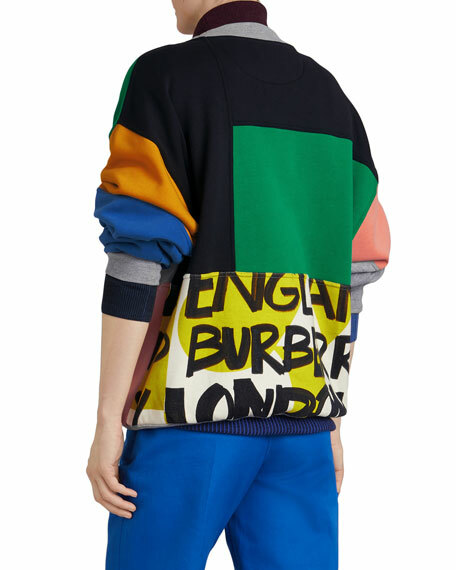 Burberry cotton-blend sweatshirt featuring colorblocking and graffiti-print. 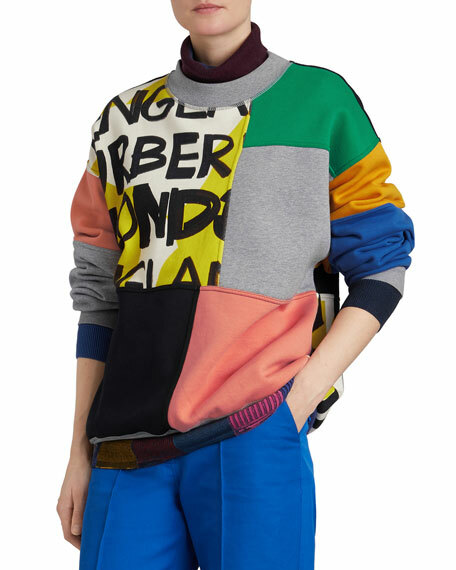 Banded, neck, cuffs, and hem. 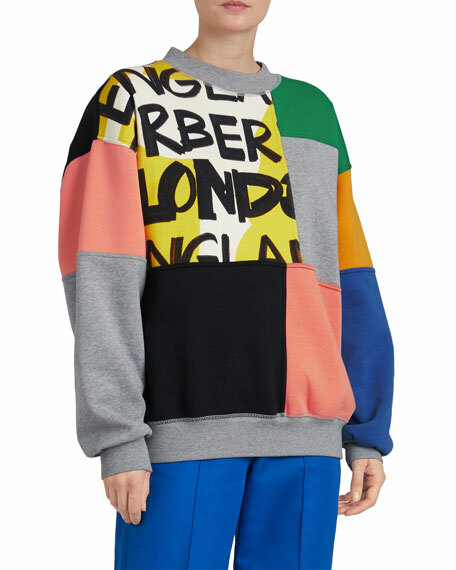 For in-store inquiries, use sku #2630039.